This is something that I saw recently in a missions conference that I really liked. While in the missions conference the church not only heard from my family and two others going to the mission field, but they also heard from a missionary couple that is on the field. The church had Brother Wes Gazaway Skype in from Egypt during the service and the pastor was able to ask him questions and get a quick 5 minute report from them in front of the church. When William Carey was working in India it would take up to six months for letters to pass from India to England. Now we can speak to our missionaries half way around the world in real time with no delay. This is a great idea, not only for the whole church, but also for Sunday School classes, men’s and women’s meetings, youth groups, small groups, and even individual families. Most missionaries have Skype, so get connected to them and give them a call. I bet the missionaries would love to talk to you. 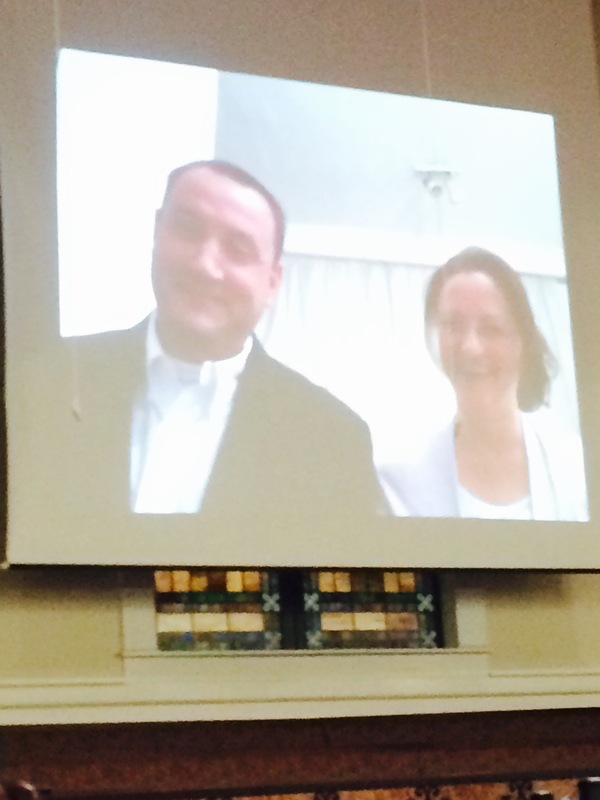 Wes and Rachel Gazaway’s live interview during missions conference. I am delighted with this idea, and will contact my missionaries to see if its possible to set up times to Skype and get better acquainted. I love it. Looking forward to doing it. Thanks for sharing this. Glad you liked the idea Jacky! Many missionaries are happy to do this if they have the technology to do so. Thanks for reading!